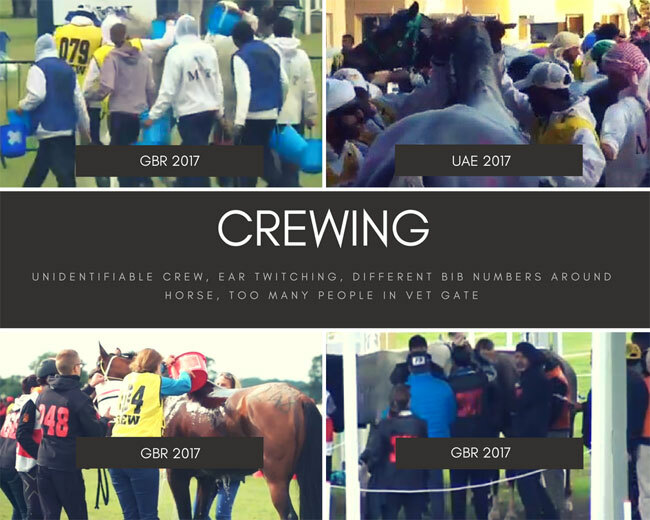 A guide to spotting rule breaches and cheating in the sport of endurance has been published by Clean Endurance. The informal “A to Z” format aims to make this very serious subject accessible. Clean Endurance has produced the A to Z in response to the many enquiries it is now receiving from observers and volunteer helpers at endurance rides who think they saw a violation taking place, but were unsure how to respond or who to alert. In recent years the Federation Equestre Internationale (FEI) has acted to address welfare issues, doping and rule-breaking on the field of play. The FEI is constantly reviewing endurance rules to combat the types of foul play highlighted in the A to Z. 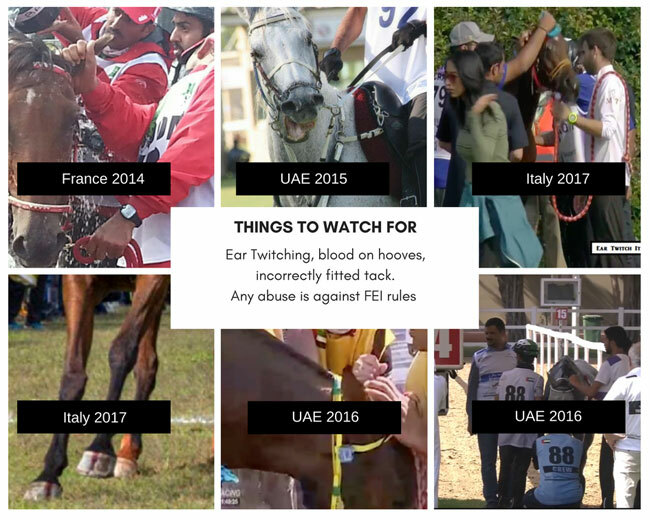 Sadly, the accompanying photo collages below and press archives which can be found on their Facebook page show that many FEI rules are still being openly and routinely broken. O is for Obstructing the horse from view in grooming areas and vet-gates – against FEI rules. Why a horse might be concealed is explained in C for Crew, I for Invasive treatment and N for Nerve-blocking. Clean Endurance is a global collective of volunteers who are pledged to restoring the traditional values of their sport. They have an informal working relationship with the FEI; several recent FEI rule changes, procedures as well as sanctions have been developed from matters they have raised. The A to Z is by no means exhaustive and will be revised and updated from time to time. Clean Endurance welcomes comments and suggestions. Find them on Facebook and contact them through the message button or email contact.cleanendurance@gmail.com.